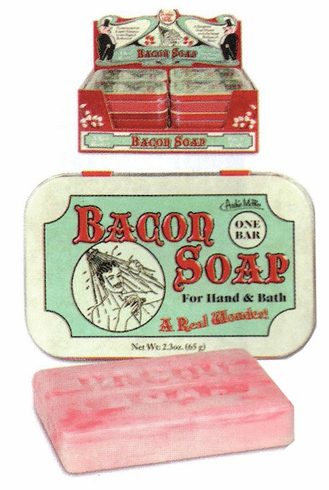 Bacon scented soap. Lather up with this curiously scented soap, and you're sure to be the most pungent person at the party. Don't forget to wash behind your ears! Each bar comes in a fancy metal tin so you can take it wherever you go.